This month we are proud to feature one of our favorite contemporary artists Angel Otero. Otero is initially from San Juan, Puerto Rico but has been living and working in Brooklyn, New York since graduating from the Art Institute of Chicago with his Master's in Fine Art in 2009. 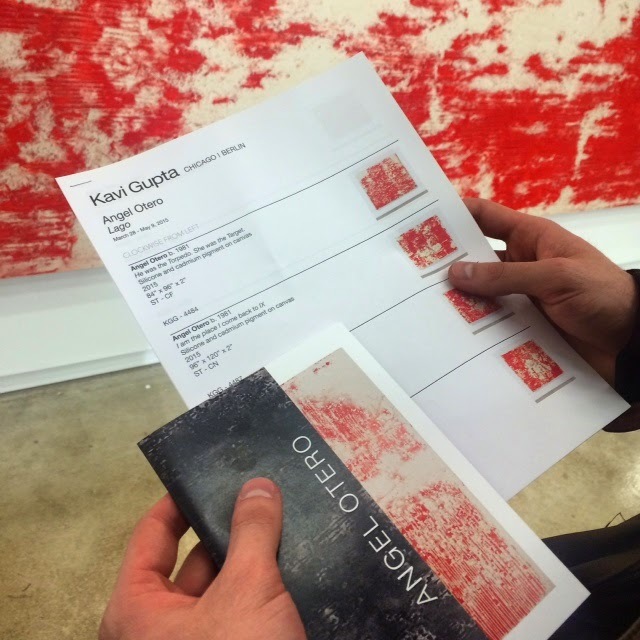 Otero is currently represented by Kavi Gupta Gallery in Chicago and Berlin and Lehmann Maupin Gallery in New York. 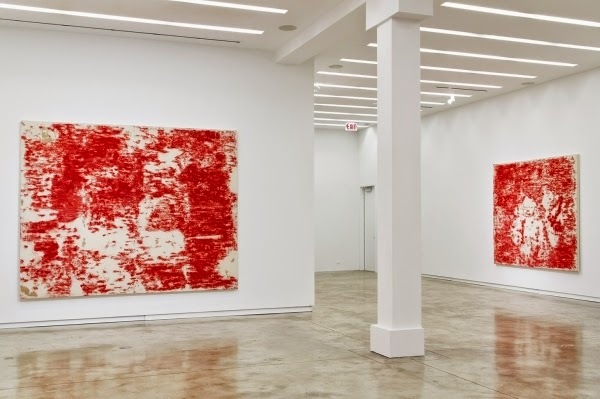 Angel Otero's famed “Skin” paintings are the result of a unique physical process that deals heavily with materiality. 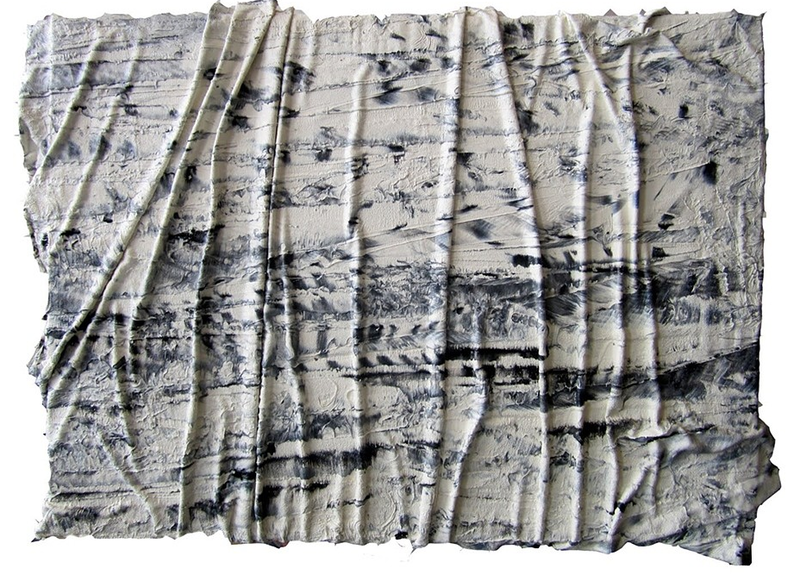 The oil skin series is action based as the work transitions from representational to unrecognizable abstractions that evoke a strong feeling of abstract expressionism. 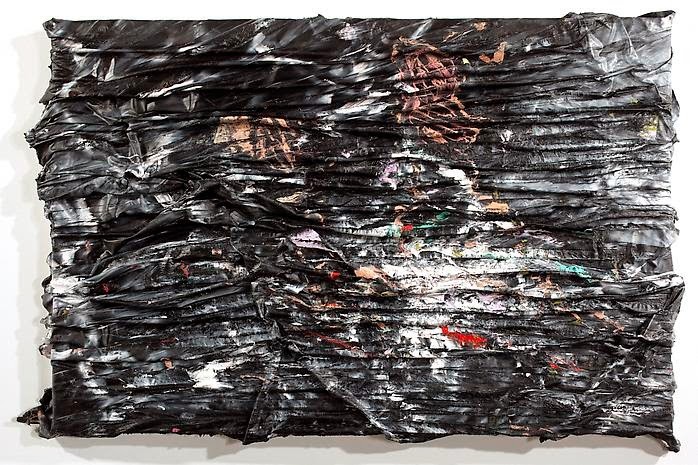 Otero's metamorphic works first reference Baroque painting then move towards a process of anti-painting through destruction, collage and assemblage. Otero's “Skin” paintings begin with a cool and calculated method of traditional oil painting, as he depicts uncanny replicas of art historic paintings produced by famous artists such as Nicholas Poussin, the leading painter of the classical French Baroque style. 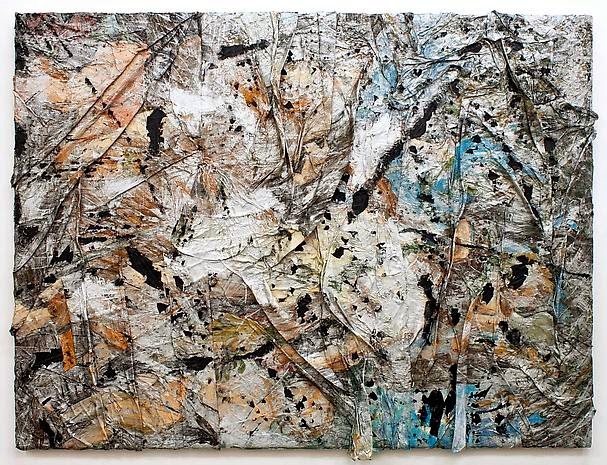 Otero paints these imitation works on plexiglass where he adds texture through expressive brush strokes and later scrapes the paint from the glass, collecting the dried paint, which he calls “skins” for assemblage on canvas. Much of Poussin's works are historical paintings that reference religion and mythology, often while portraying traditional landscape imagery. By taking this subject matter and destroying it to reconstruct modern paintings, Otero is able to comment on contemporary issues within the paint medium. Another interesting anecdote concerning Poussin as painter is the way he stood apart from the decorative French art of his time. Instead, Poussin illustrated impulses of the Renaissance and focused largely on the preservation of the artistic sensibilities from a Greco-Roman world. There is a long-standing tradition of artists imitating his style, as many of his contemporaries had done, borrowing themes of “classical severity.” However, when Otero borrows this famed style, he then destroys every classical aspect of the work until it is unrecognizable as a French Baroque masterpiece. Transforming materials is what elevates Otero's renditions and makes his work so compelling. 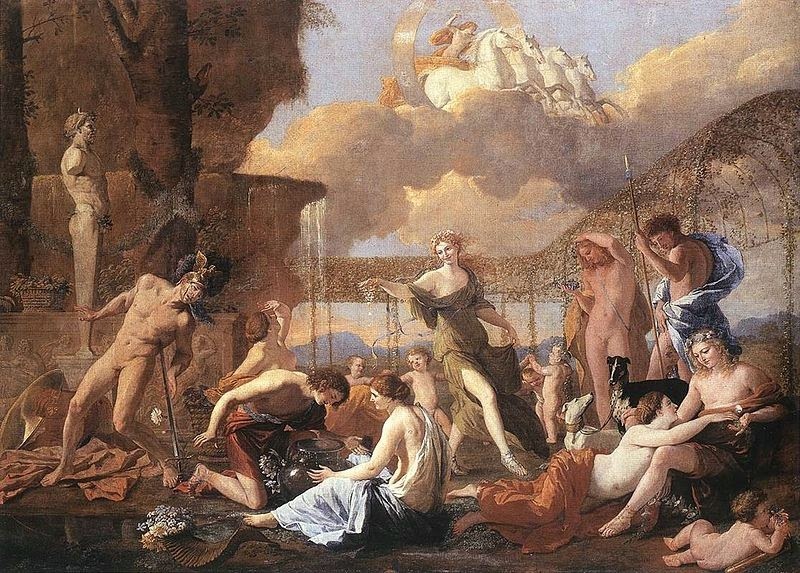 The final product in this series is much more decorative, unlike the works Poussin produced during his lifetime. The decorative end-point is commentary on what works today in painting, especially being that Poussin’s particular style of old school mastery does not hold the same value in today's art market. 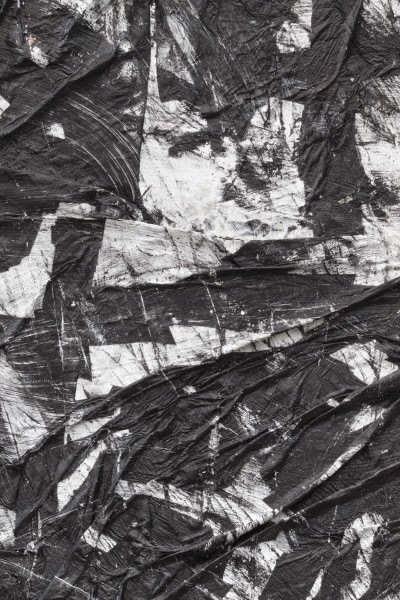 Otero has been quoted stating his belief that paint needs to be justified over time, pointing out how oil paint has become a challenged medium present day. Otero's strong intellectual work stands a part from other artist's today as a compelling visual statement where as a lot of contemporary artists create not much more than a bland illustration of their intellectual thought. Ortero's solo exhibition Lago features his most recent body of work, a series of remarkable silicone transfers that extract the essential elements of personal photographs reconfigured in simple line patterns. The photos are stamped onto canvas using powdered pigment, creating an abstracted mono-print that no longer resembles the images of his family. Otero's references include personal history with a layer of pop-art symbolism that is renowned in cinematic literature. The title "Lago" references the town in Clint Eastwood's film, “High Plains Drifter”. 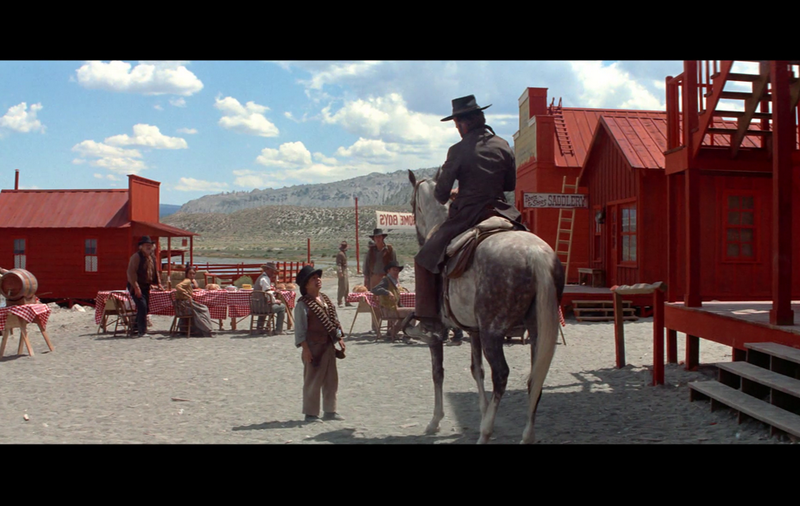 In the film, the town is painted red to disorient the outlaws who are returning to Lago after being freed from jail. 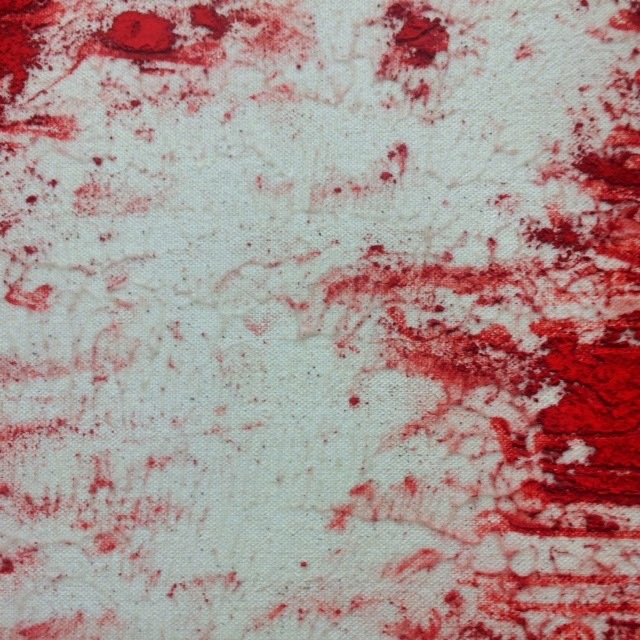 The red paint doubles as metaphor in the film, which is an allegory rich with symbolism. Lago transitions from a lawless town to Hell, a town literally painted red to show there are retributions to be paid for wicked deeds. Personal photographs facilitate memory as an additional strong influence on Otero's work that is both about the individual and "the big picture" in regards to his place in art history. Works based in memory combine family photographs and contemporary art practices to reconfigure new ideas about his art. The art Otero creates from these pop and personal references continues to recontextualize the work he borrows from. Even given Otero’s references, it’s astonishing how open to interpretation these personal pieces are. Confronted with what looks like expressive abstract paintings, the viewer is encouraged to draw their own connections. 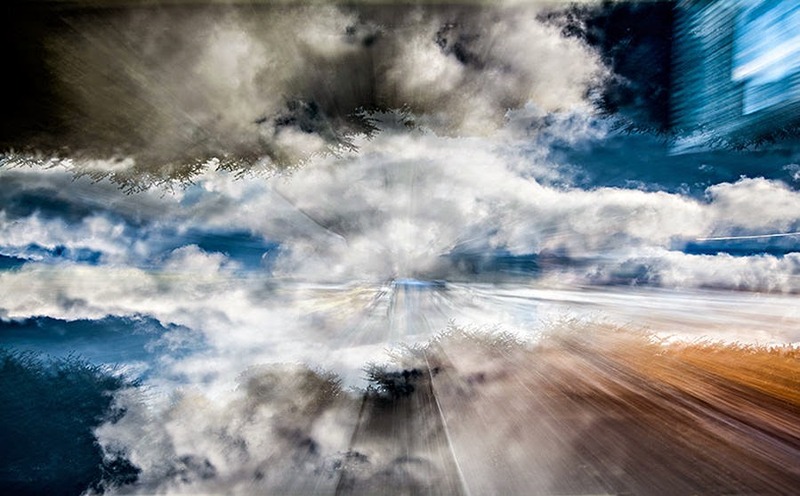 We are in an age where the artist is no longer "God." The intention of the artist used to be the sole meaning of the work, but this is no longer the case. In fact, when at the opening for this show I asked Otero if there was anything he'd like me to explicitly take away from his work and additionally mention in my writing, rather than cluing me in on the mystery, he told me to lead with my own interpretation. Representational elements are intentionally skewed. 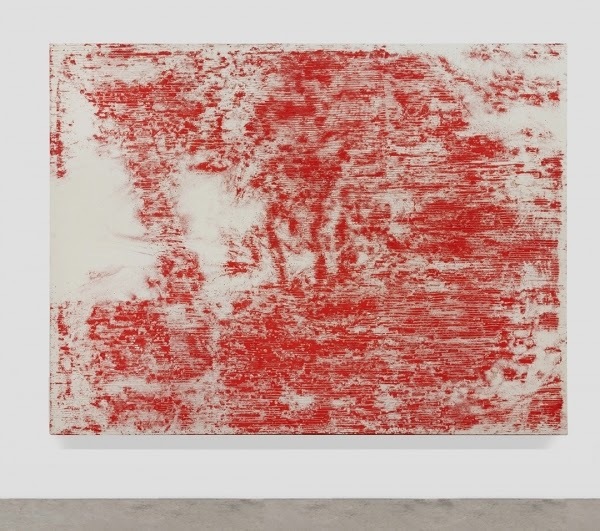 It's almost as though we are being told to respond to a formalist work, one that combines lines, shapes, colors and volume which deliberately convey emotional ideas about the bright red work stamped evocatively onto raw canvas. The work is the embodiment of image and institution, however the awareness of this can be easily lost on the viewer without paying careful attention to the title of the series "Lago" and the individual titles of the works. These titles give insight to the cryptic imagery in Otero's distorted photographic prints (that are barely representational based on looks alone). Unique practices in the traditional and digital realm bring Otero’s visceral works to life. Otero’s practice is often in dialogue with art historic predecessors through contemporary processes. Open to change and accidents, the contemporary painter plays with materiality to create almost sculptural works using three-dimensional paint scraps and silicone transfers. The pieces are constructed in thick expressive applications, whether they are stamped imagery composed of pure cadmium pigment or folded layers of wet and dry paint scrapped from the surface of plexiglass. 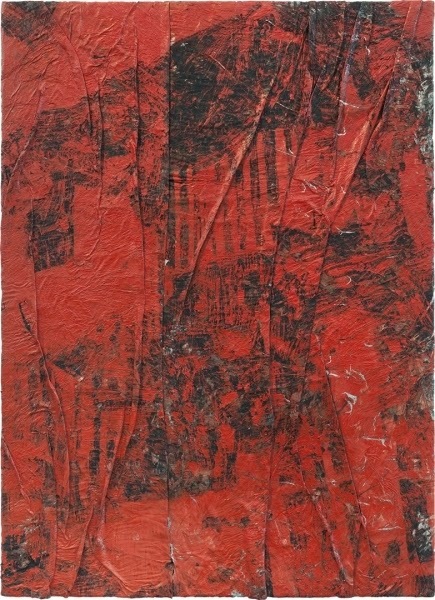 The materiality is the end-result that prompts most viewers to react in favor to his complex works. Darryll Schiff also uses diverse practices that combine artistic elements both new and old. His work is the byproduct of advanced digital techniques and traditional photo practices. Like Otero, he creates unlikely compositions inspired from his own experiences. 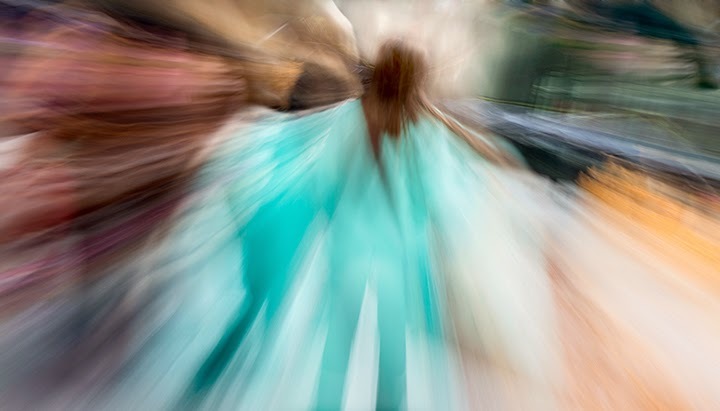 Some of Darryll's photos are taken in his old neighborhood while others are of his own children, though both are unrecognizable on account of the way he shoots his abstract frames as heavily layered images. As a viewer, we appreciate the personal and private subject matter being offered in Schiff and Otero's works, a small but meaningful glimpse into the artist's mind. Schiff and Otero use their processes as a way to give meaning to their subject matter, something not all artists choose to focus on. It's integral to the artwork that the act of creating it says more about the work itself. Schiff and Otero's work read as a dissertation offering intellect, substance and depth as their ideas are conveyed to completion, where many other contemporary artists fall short. Darryll's digital process showcases what it is like to live in the digital era. Otero's Baroque style being completely demolished and reconfigured says a lot about the evolution of painting as an artistic practice. Both contemporary artists put careful thought and consideration into their medium of choice, as viewers we are able to digest the importance of their process. As we head into spring, keep a look out for Darryll's recent featured articles in Float Magazine, F-Stop Magazine and Halation International Photography Magazine! More on Darryll's exciting new artwork coming soon!